Why do some managers need TONS of resources while others don't? Others can make it happen with less resources, less time, less effort and less conflict? 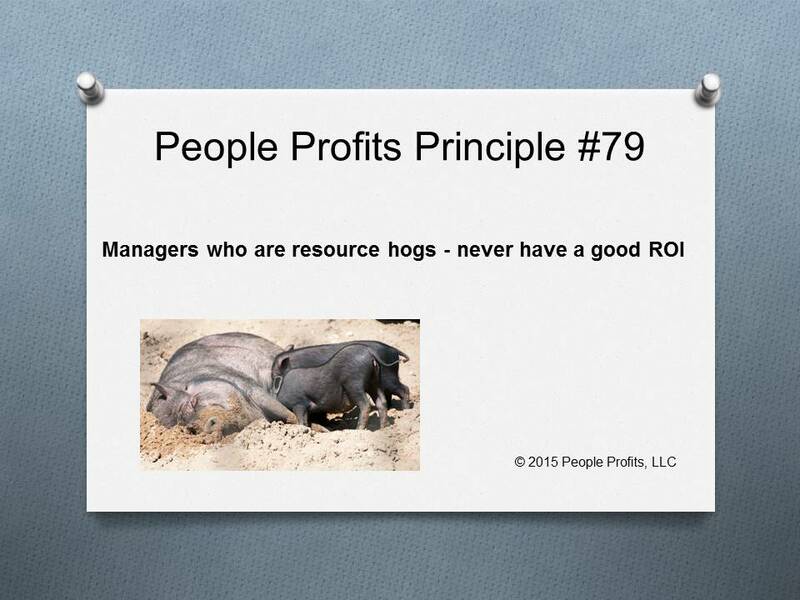 The managers with less resources and greater results then look at the hogs and wonder why does this have to continue? The workers will see it too. This can affect the engagement of your managers which will trickle down to your workers. The root cause of the problem can be a multitude of possibilities. But you must identify what that is and then develop a strategy to fix it. The ROI on this issue can be enormous! !